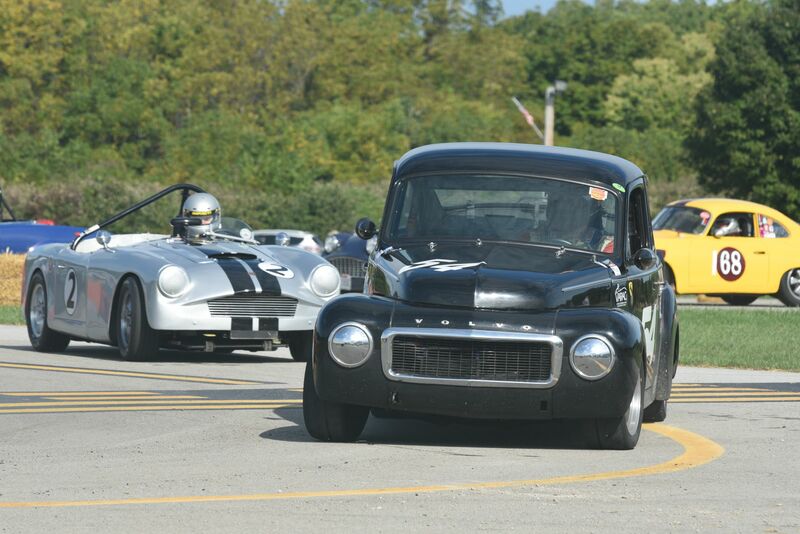 Jeff Graham of Southern Shores, North Carolina, in his black ’58 Bugeye. Photos by Daniel Mainzer. In the early post-World War II years, sports car racing took place on the streets of America (and a few Air Force runways) at places like Pebble Beach, California; Watkins Glen, New York; Bridgehampton on the east end of New York’s Long Island; the town of Elkhart Lake, Wisconsin; and the island village of Put-in-Bay, Ohio, on Lake Erie. All but the last of them ended road racing when a dedicated circuit was built close by the original street course. 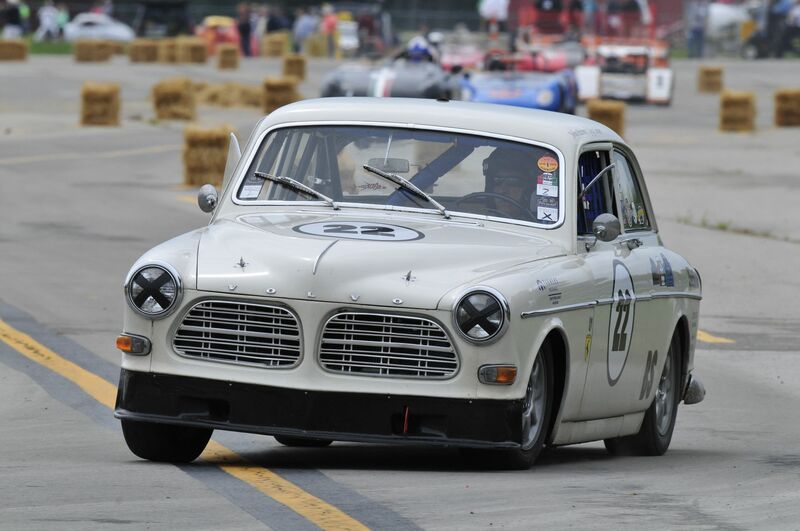 Though Bridgehampton has been gone for 20 years now, the other three venues at Laguna Seca, Watkins Glen, and Road America all host some of the best vintage racing events in America. So, what’s a little island village to do when it doesn’t have a race track? 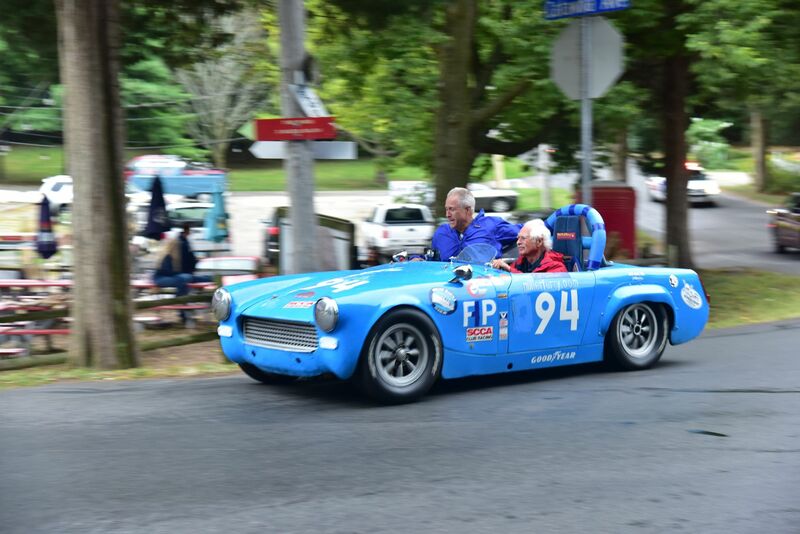 Well, the organizers of the Put-in-Bay Sports Car Races have been running their own special brand of vintage racing for 10 years now. 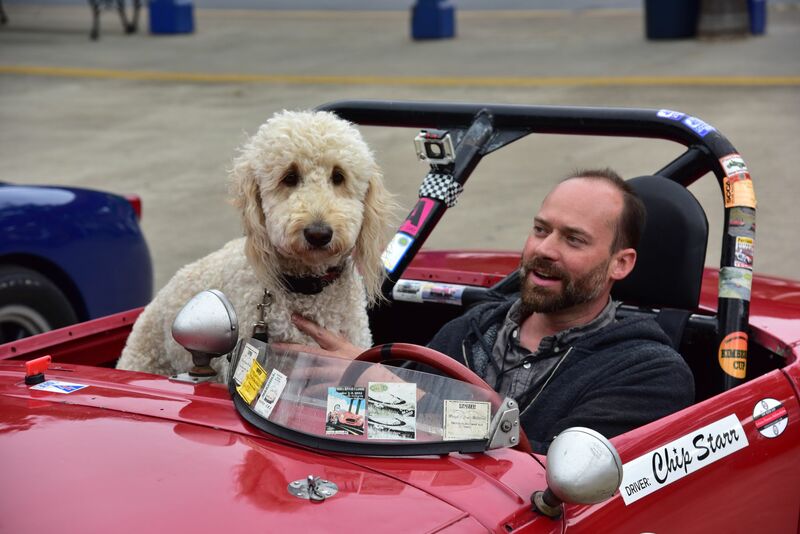 Originally more of a car show and demonstration run through the tiny village (population 138) on South Bass Island, for the past several years the event has included racing action at the local airport. With tourist season peaking during the summer months and creating more challenges for the organizers, the 2018 event was moved to late September, with the races held on Tuesday, September 25 and Wednesday, September 26. 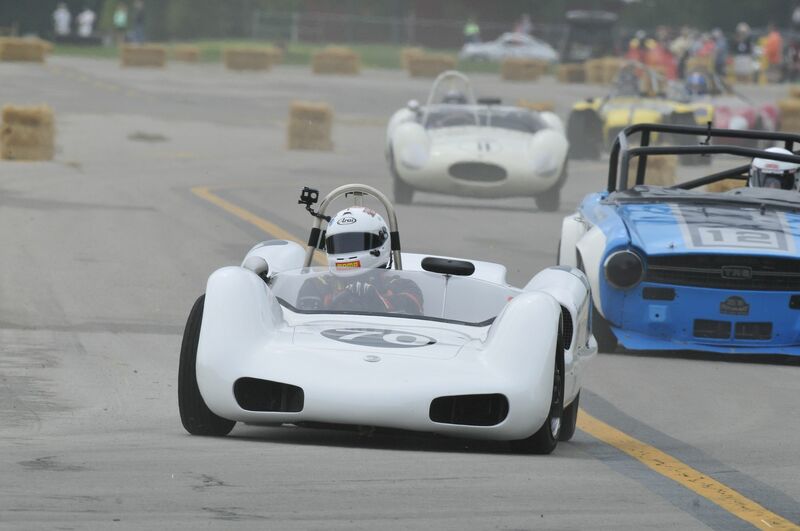 Demonstration laps on the original Put-in-Bay street course. 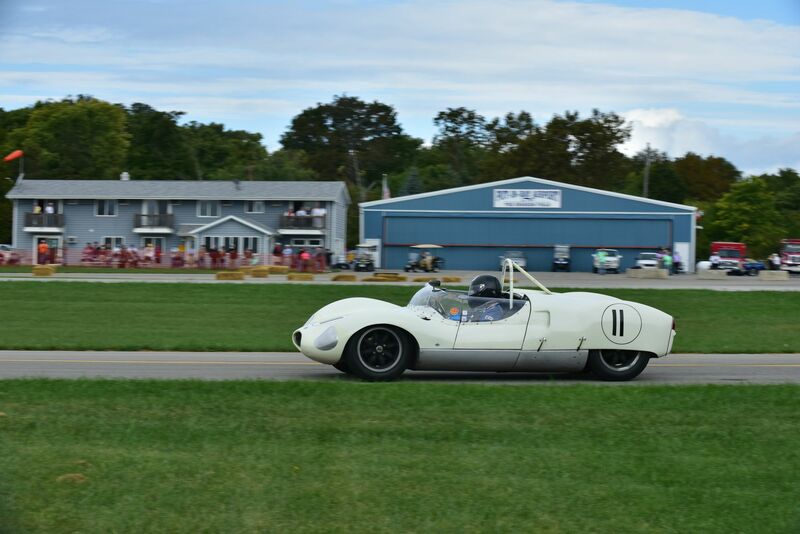 The final results showed Joey Bojalad, driving a 1960 Elva Mk VI as the winner in the two featured races as well as the 15-lap Put-in-Bay Cup Race, a feat he has now accomplished four years running. 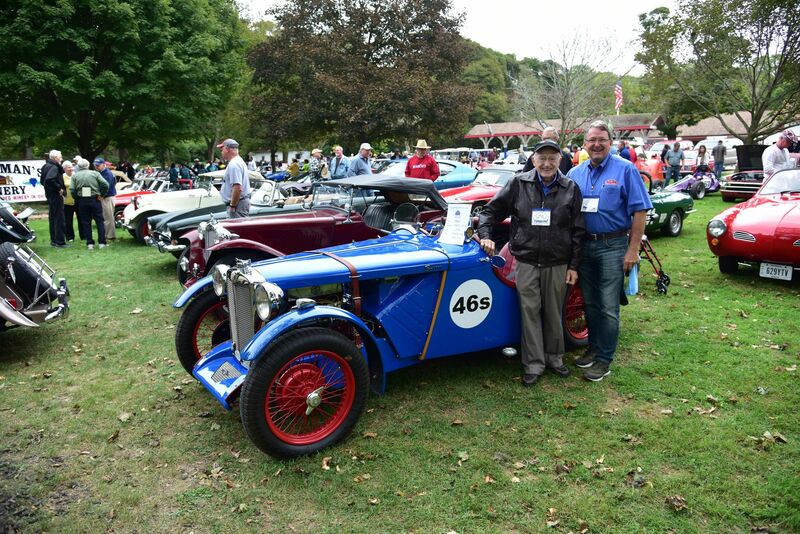 Second place in the Cup race went to Sam Halkias, driving a 1971 Triumph TR6. 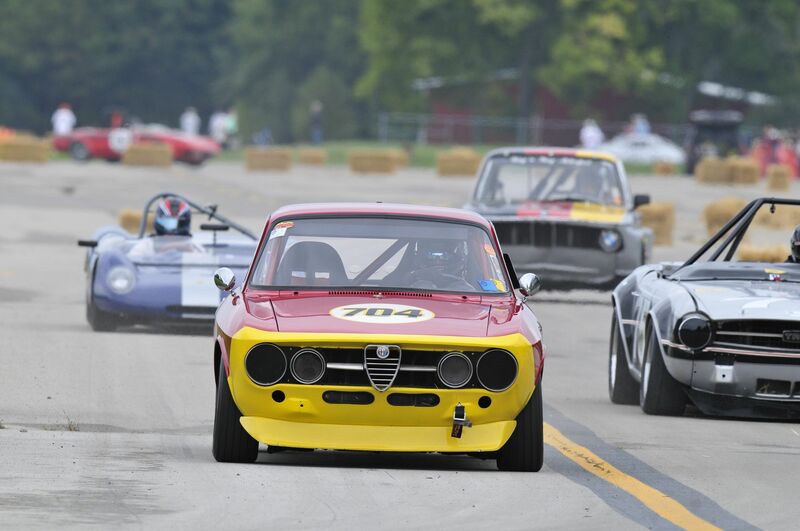 And Tim Covert claimed the last spot in the podium with his 1965 Moodini. Drivers hailed from 15 different states and two Canadian provinces, proving the appeal of racing on South Bass Island reaches quite far. 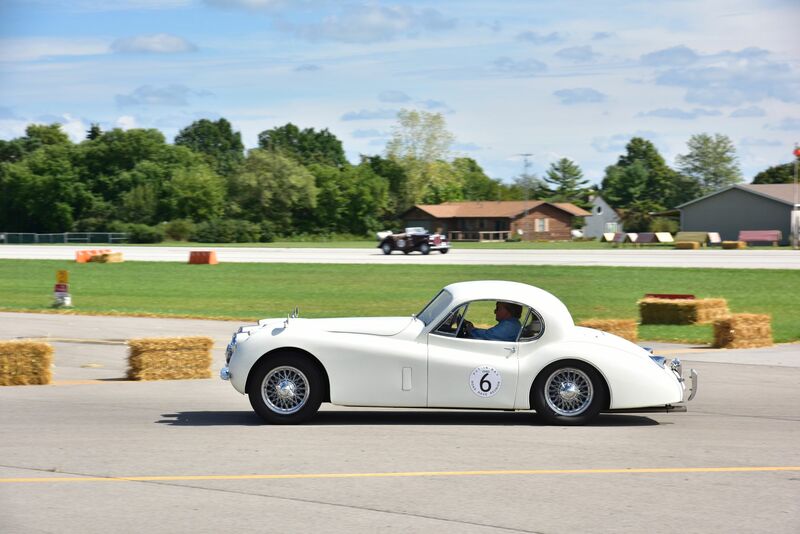 Najib Khan races his 1959 Cooper Monaco at the Put-in-Bay Airport course. 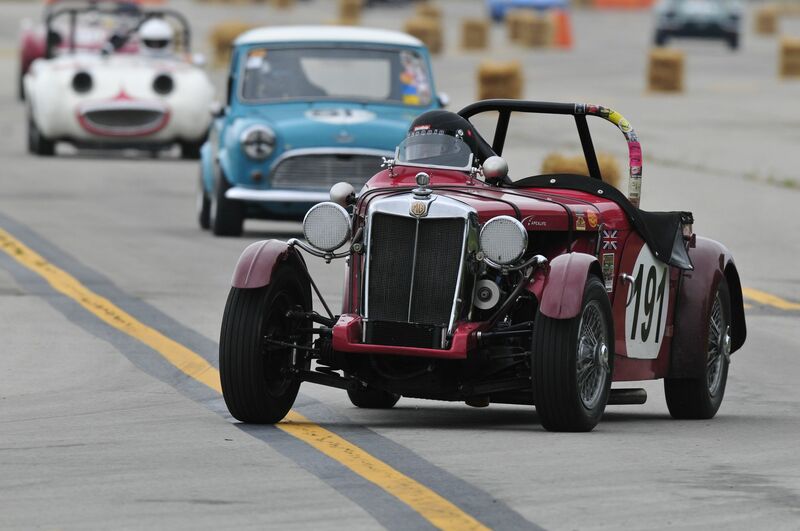 As was the case when the races were run on the street, only small-displacement racers compete. Or, as they are wont to say “Still not for big bores or egos… And proudly so!” The original Put-in-Bay Road Races ran from 1952 through 1959 and then again in 1963, long after permanent (or somewhat permanent in the case of Bridgehampton) road courses were built at the other venues mentioned above. 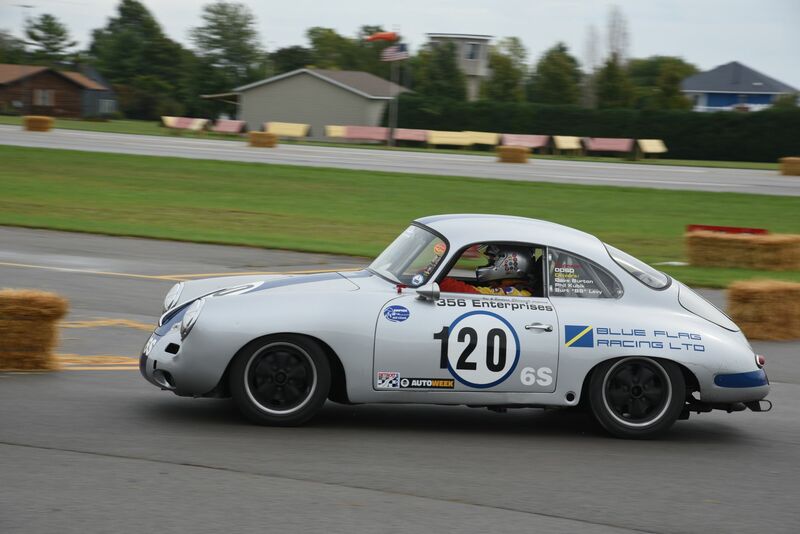 Perhaps that small-displacement stipulation paid off, and kept that original venue operating for years, as no competitor injuries ever occurred with sports cars limited to 2.0-liter engines and dedicated sports racers to just 1.5-liter powerplants, despite only having hay bales to protect drivers who left the course. 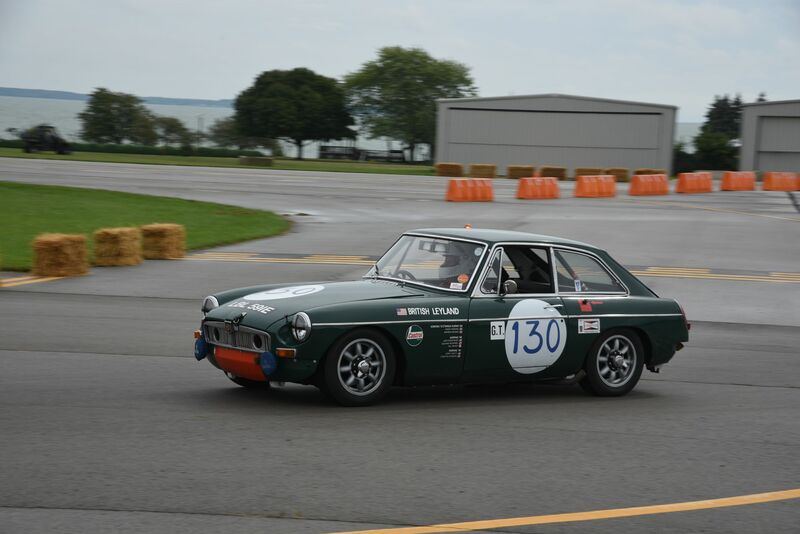 Unlike the big venues at Laguna Seca or Road America, the vintage races at Put-in-Bay are somewhat limited in space and time, so entrants are restricted to makes and models that originally raced on the island as well as slightly newer makes and models that meet the spirit of the event. The list of original entrants seems a rather comprehensive list of 1950s sports cars, with the usual MG T series cars, Austin-Healeys (Sprites and 100/3000 “big” Healeys), Elvas, early Lotuses, Triumph TR2s, TR3s, and TR4s, etc. Also included are models from Simca, Siata, Cooper-Climax, Fiat, Abarth, OSCA, and so on. Other makes and models eligible include those produced through 1972, such as the Datsun 240Z, BMW 2002, Fiat Spider, Lotus Elan, MGB, and Saab Sonett. 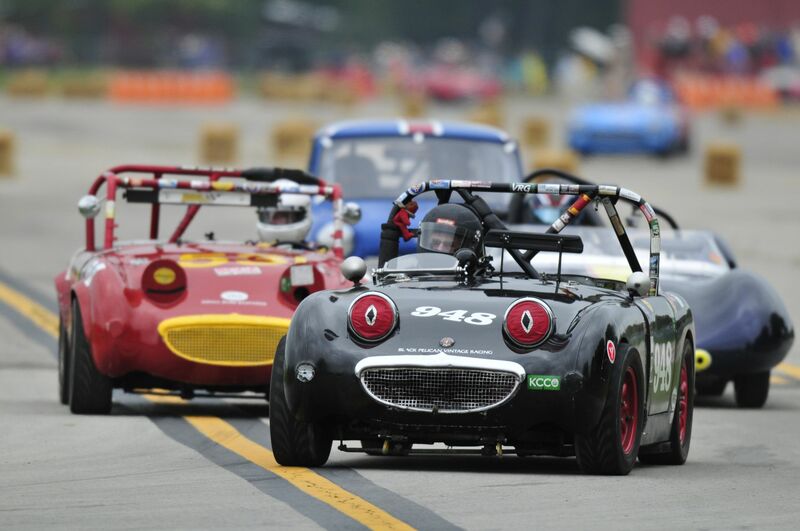 Certain small-displacement open-wheel cars, like Formula Fords and Formula Vees are also now accepted. Other events included demonstration laps of some big-bore cars, such as a Le Mans-winning Porsche 962. 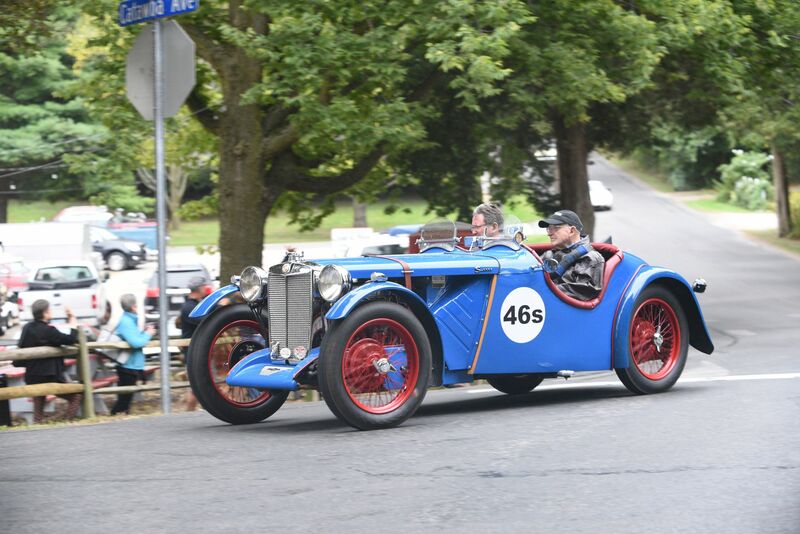 A parade of competition-prepared and street-going vintage sports cars also did a parade lap of the original street course. 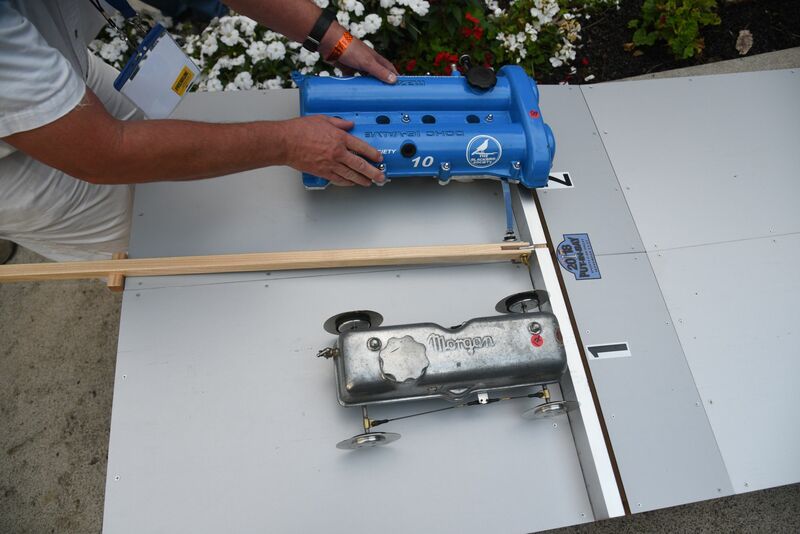 Events continued for non-participants at the Put-in-Bay Yacht Club and something called “rocker cover racing,” which surely has us intrigued. 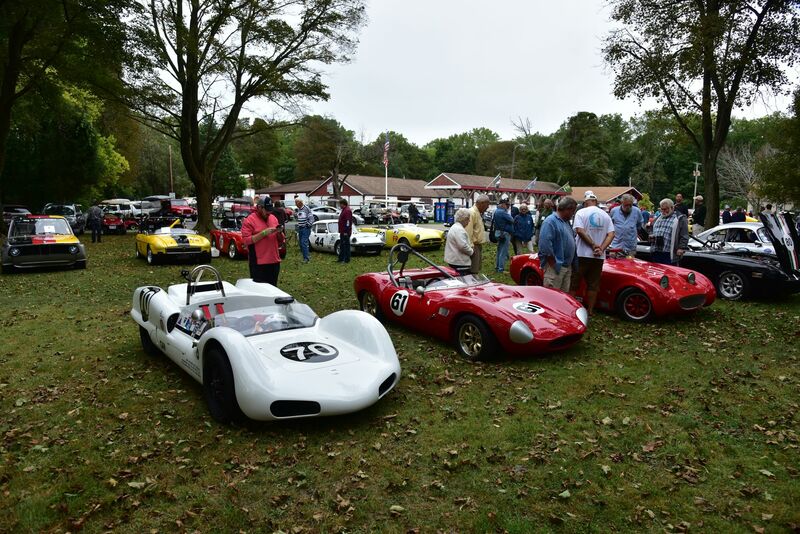 The 2019 Put-in-Bay Sports Car Races are tentatively scheduled for September 24 through September 27, with racing planned for Wednesday, September 25 and Thursday, September 26. 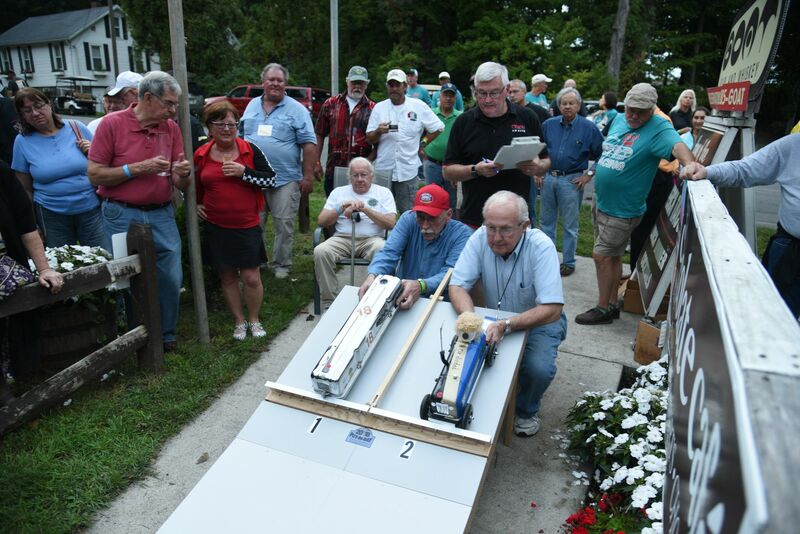 Admission is free to all events for spectators; you just need to take the 20-minute ferry ride from the Catawba Island Peninsula to Put-in-Bay. For more information, visit PIBRoadRace.com.